Disney girl Selena Gomez seems to be doing quite well for herself post Wizards of Waverly Place (she has one season left to go), both as an actress AND as a singer. Gomez made her theatrical debut in Ramona & Beezus and currently stars in the teen girl romp Monte Carlo, alongside Leighton Meester and Katie Cassidy. In the music department, Gomez just released a new album with her band, 'The Scene' on June 28th through Hollywood Records. "Love You Like A Love Song" is the second single taken from the band's third album, When The Sun Goes Down which debuted at #4 on the Billboard 200. Written by Antonina Armato, Tim James (both of production team Rock Mafia) and produced by Rock Mafia, "Love You Like A Love Song" entered the Billboard Hot 100 at #72, giving Gomez two concurrent Hot 100 singles, with "Who Says" rising from 22 to 21. Selena Gomez & The Scene (guitarist Ethan Roberts, bassist Joey Clement, drummer Greg Garman, keyboardist Dane Forrest) formed in 2008, releasing their debut album, Kiss & Tell the next year. While Kiss & Tell did make a splash, debuting in the Billboard 200 top ten, the band's first single was a chart failure, with "Falling Down" only managing to peak at #82 on the Hot 100. Their luck started to change, with the release of single #2, "Naturally," which came in at #29, a vast improvement over #82. The single also earned Selena Gomez & The Scene their first #1 Dance Single in the States, boasting an impressive remix package with mixes by Dave Audé, Ralphi Rosario and Disco Fries. Not wasting any time, the band released their sophomore album, A Year Without Rain, in September of last year, when it debuted in the #4 spot on the Billboard 200 becoming the band's first top 5 album. As with the last album, Gomez released only two singles - "Round & Round," and the infectious title track, both of which were big hits on the Billboard Dance charts, peaking at #2 and #1 respectively. Stylistically, the new album didn't stray too far beyond their debut, dipping into pop/rock/dance territory, thanks in large part to producers Rock Mafia, Toby Gad, and Superspy who worked on both albums. Added to the roster on this second album, RedOne and Kevin Rudolf, who lent their hitmaking talents, in the end creating a much stronger album than it's predecessor. Continuing on in the tradition of releasing an album every year, When The Sun Goes Down became the band's third album in a three year span and their second top 5 record. The new album featured production from past collaborators Rock Mafia & Toby Gad plus new additions including Dreamlab, Greg Kurstin, Sandy Vee and Espionage, and was preceded by first single, "Who Says," which became the band's highest charting Hot 100 hit, peaking at #21. On the dance charts, "Who Says" also did fairly well, peaking at #5, becoming their fourth consecutive top 5 dance hit. With the early on success of their supremely catchy new single, "Love You Like A Love Song" there's no question that it will continue to climb the Hot 100 charts, and with inevitable dance remixes, Selena Gomez & The Scene are certain to have another club hit on their hands. My only hope this time around is that Hollywood Records milks more than just two singles out of this album. I know Selena Gomez is a busy movie star now, but come on! You can't let this album go to waste! In case you missed the George Greville & Geremy Jasper-directed video's June 23rd premiere on VEVO, watch it below. Download When The Sun Goes Down on U.S. iTunes HERE. 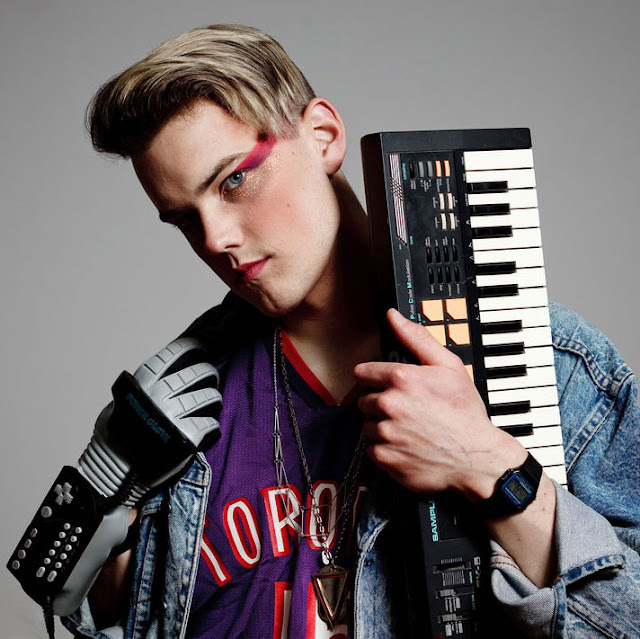 Canadian electropop artist Diamond Rings (AKA John O) is readying a new North American tour this upcoming September in support of his album, Special Affections, which was just re-released June 21st via Astralwerks Records. Diamond Rings has the incredible honor of opening for "electronically endearing" Twin Shadow as part of his "Clean Cuts" North American Tour, which kicks off September 4th with performances at Making Time in Philadelphia, PA. As if news of the tour wasn't enough, Diamond Rings was selected for the 2011 Polaris Prize long list, Canada's highest honor for an emerging artist. That's a pretty big effing deal! "I'm really excited to be sharing the stage with someone as talented and unique as Twin Shadow," said John O' of Diamond Rings, "Between his clean coif and my own we'll finally see if two heads are better than one. Hopefully he lets me borrow some of his jackets!" Check out a full list of tour dates below and make sure you go show your support for Diamond Rings! I've also included the video for "Wait & See" for your enjoyment so check that out below. Download Special Affections on U.S. iTunes HERE. While electropop (soon-to-be) teen sensation Sky Ferreira isn't working on her forthcoming debut album, she's keeping busy as a super model. Love it! Model by day, singer at night. It sounds like a new fangled sort of super hero or something. 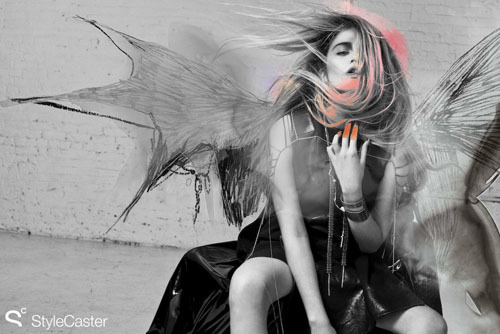 Sky was recently featured as the StyleCaster cover story, which included a lavish photo spread shot by Hugh Lippe. The photos (two of which can be seen in this post) are ABSOLUTELY stunning. OK. While I did love me some Baby Spice, I didn't dress like her. Still, cool of her to say that she was influenced by Ms. Bunton. Anyway, check out these fabulous photos of Ferreira. The rest of the editorial can be read and the photos seen over on StyleCaster by clicking HERE. You can also see some cool behind the scenes photos from the shoot over HERE as well as a cool video featuring Sky HERE. According to their website, "StyleCaster is a leading platform that creates and curates the best content from across women's lifestyle into a comprehensive style experience." Download the As If EP on U.S. iTunes HERE.